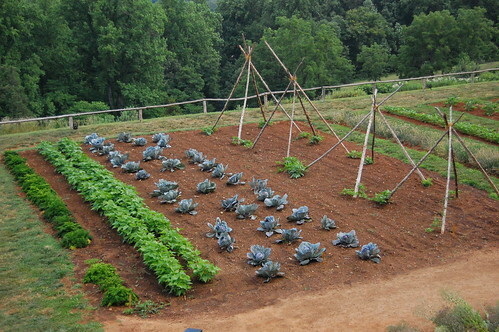 You are here: Home / Garden / 13 Reasons to Grow a Vegetable Garden. 13 Reasons to Grow a Vegetable Garden. It may be just March, with 30 degree weather and snow on the ground, but here at Frugal Upstate I’m in the midst of some serious vegetable garden planning. I just can’t wait until May when the ground is thawed and I can dig my hands into the dirt and get going. There are so many compelling reasons to grow a vegetable garden-many of them beyond the obvious. Take a look! 2. Home grown vegetables taste so much better than bland grocery store vegetables. That’s because you can choose more physically “delicate” and flavorful varieties (factory farms choose based on things ripening at the same time & transporting well-not taste). Also in many plants the sugars start turning to starches once you pick the vegetable-so your super fresh veggies will also be at their sweetest. 3. Since vegetables start losing nutritional value as soon as they are picked, those homegrown vegetables picked from your garden and cooked shortly thereafter are more nutritious than those you buy at the store. 4. You can grow vegetable varieties that you can’t find in the store. When was the last time your grocer sold Kolrabi? 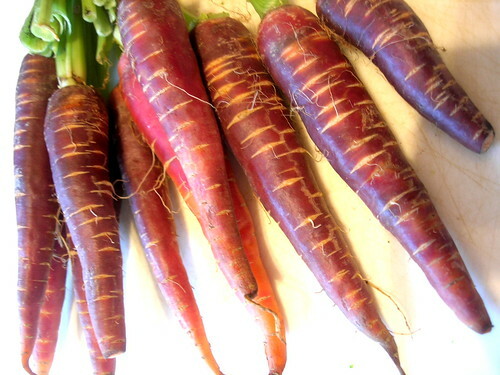 Red carrots? Striped beets? Purple beans? Yellow tomatoes? 5. 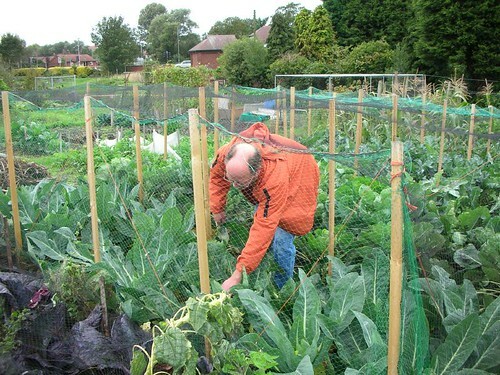 If you are interested in organic produce then growing your own is even more of a cost savings. 6. It’s exercise and a hobby as well as a way to save money. 7. Growing your own vegetables gives you a sense of pride and satisfaction. When was the last time you had those feelings after a trip to the grocery store? 8. A garden can be an educational opportunity for the kids. They can see how plants grow, and to feel a connection between the process of growing and the food that winds up on their plate. 9. Involving the kids in the process of gardening, giving them work and chores to do can help even smaller children feel that they are contributing members of the family. It also can teach them about responsibility and the consequences of their actions. If you don’t take care of the plants they could die, and all the “I’m sorry” in the world won’t bring it back. 10. 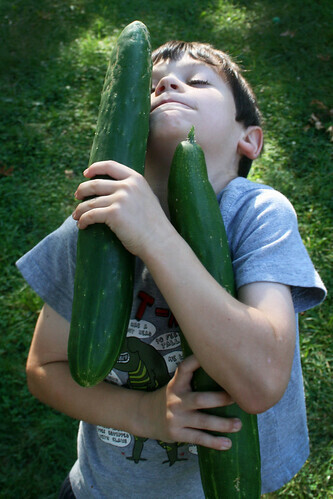 Gardening may encourage your family to try vegetables that they would otherwise turn their nose up at! Many items, such as green beans, taste fantastic raw. Carrots, fresh peas and corn are all much sweeter when freshly picked and cooked. And somehow eating that broccoli that you helped plant, water & pick is much more appealing than that frozen stuff that comes in a plastic bag. 11. Of course gardening is inherently “Green”. Your carbon footprint is practically nothing (well-if you use a gas powered tiller there is that). 12. Because gardening takes place outside, you are more in touch with your local environment, the seasons and the weather. In a world where we are increasingly removed from nature, you may be surprised at the positive emotional and mental effects that can bring. 13. Gardening is “visible” work. So many of us spend so much time working on things that show no visible success each day. I can spend all day working at my computer, and at the end of the day I have nothing physical to show for it. 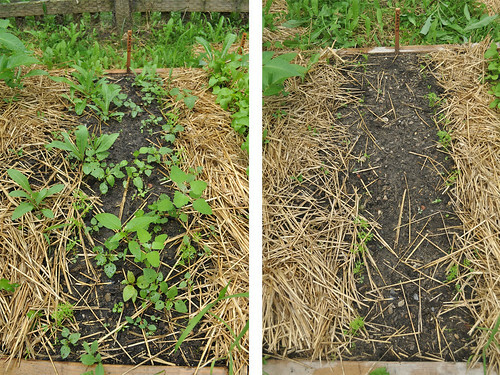 When I weed a section of garden, plant some seeds or harvest beans. . . I can sit back, look at it and say “There, I did that”. Don’t discount how incredibly satisfying that is! So what do you think? Have I convinced you to grow some of your own vegetables this year?!? We grew tomatoes, chilis, and green peppers last year. I also had an herb garden. We’ll do all of that again this year, but we are looking to expand. I wonder what we should try this year? Maybe green beans? Or peas? Great list! We have vegetable gardened for many years in our tiny urban yard and I find it incredibly satisfying. I also love knowing that my kids understand where food really comes from and have had the opportunity to observe and help with the whole cycle from planting to harvesting (and strategizing how to keep those pesky squirrels out of the garden, lol). Another great reason to grow a garden is that you can share your surplus with friends and neighbours. Don’t know if you’ve heard about the ingenious Hillside Produce Cooperative (http://hillsideproducecooperative.org/) started a couple of years ago down in LA – it’s a free exchange of surplus homegrown fruits and veggies between local backyard gardeners and it’s been enormously successful (they have over 250 members). I’m going to start something similar in my community this year. Melanie-I love beans, they are especially good raw. If you have some way to “train” them up, I’d recommend planting pole beans as they continue to produce over a span of time (bush beans sort of give one big hurrah and are done). One of my favorite pole beans are the purple podded beans. They do turn green when cooked-but are so cool to look at raw. The flowers are also sort of a light lavender, which is pretty. Growing a vegetable garden is one of my dreams but I need more money to make it real. A house with a great garden and some vegetables always sond nice to me. Yes, a garden full of veggies really is a nice addition to any home. Thank you for sharing information about gardening,I am very much interested in organinc gardening since the cost for organic produce in supermarkets is astronomical. My generation has been raised on pesticide laden food and this is very disheartening. With all the pesticides and gmo’s in our food, it is not only prudent but practicle to garden. Susan-Glad you enjoyed the info! Another great resource is MotherEarth News-they are a magazine but their free website is chock full of information. Thanks for giving attribution to my photo of my before/after weeding a section of the garden. That particular plot is sadly getting much less sun due to the 50′ maples also in my yard. But it’s not all bad, I have no central air (and really don’t like AC anyway) but the shade does keep the house pretty cool.